If you don’t find an answer to your question, send us an email to hotelpsychobillymeeting@gmail.com. WHICH ARE THE DATES OF THE PSYCHOBILLY MEETING 2019 AND WHAT´S THE EVENT ABOUT ? The Psychobilly Meeting it´s a combination of music and holidays, as the name says, a meeting of people from around the world coming to Pineda de Mar to join the biggest Psychobilly event in all aspects; the music, the good atmosphere, the party, friends … All together takes place in Pineda de Mar, a perfect location to make holidays because we have the beach, the sun, good weather, nice people, good hotels and excellent food !!! The meeting place during the day is the SANTI´S BEACH Bar, a bar on the Beach managed by Santi´s and his sons and daughter, Santi´s uses to scream a lot but he is the coolest guy you can find on the beach, it will make you laugh all the time !!! We will start on Tuesday 2nd , with a meeting during the day on the beach and a Welcome party at night on Santi´s Beach bar, where we will have several djs joining the night ! It´s the time to meet your old friends and make new ones and get ready to the first dancing because our djs will shake your hips for a whole week !!!! Wednesday is when the gigs start on Santi´S Beach Bar, the gigs on the Beach bar are free, and from wednesday to sunday you will find live music and before and after the Dj´s sessions. We will open the Wednesday night with the PINEDA PSYCHO CARNIVAL , dedicated to BRASIL , obviously, four bands from Brasil on the Festival tent and Thursday, Friday, Saturday and Sunday is the Big Festival, same location as wednesday. 35 bands are coming this year so you can´t miss it !!! AND remember that this year we have moved to the beach again !! Monday is the last day when we finish the event with the craziest party on earth! The Great Foam and Fancy dress party! No excuses to say you are tired !!! CAN I BUY TICKETS FOR ONE DAY ? IS IT CHEAPER TO BUY THE BONUS TICKET ? Yes , the BONUS TICKET is the entrance of all concerts taking place on the Festival Venue, includes from Wednesday to Sunday at the price of 90 €, if you buy it separate the cost is 15 € for the Wednesday, 30€ for Thursday / Sunday and 35€ for Friday/ Saturday! It´s worth to buy it ! IS IT POSSIBLE TO GET TO THE FESTIVAL VENUE FOR FREE ONCE THE BANDS HAVE FINISHED ? Sorry but no, the doors of the festival don´t get opened to everybody after finishing the bands, in fact we close the doors at 2 o´clock , so anyone without the stamp can´t get in. And why that ? Because we want to preserve the good atmosphere until the end and the party is going on until 5 in the morning everyday ! SMOKING Is allowed in the terrace, but not inside the venue as the law says. IS THE PREPARTY OF WEDNESDAY INCLUDED ON THE BONUS ? ARE THE CONCERTS IN SANTI´S BEACH BAR FREE? 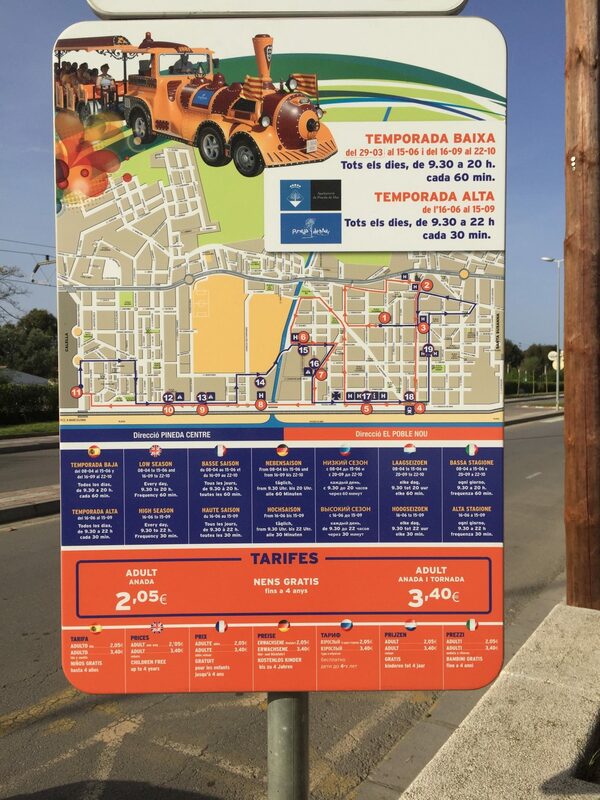 WHICH IS THE BEST WAY TO GO FROM ONE PLACE TO ANOTHER IN PINEDA DE MAR ? You can also order a cap, the Pineda Taxi company offers discounts or special prices for the event, and you can also share with someone else. WHICH RESTAURANTS YOU RECOMEND DURING THE WEEK? Send us an email and we will see if we have place, normally is quite full as all the stands are coming year after year. No problem! Our fees are not expensive and everybody gets the official program magazine ! CAN THE KIDS GO TO THE FESTIVAL? OF COURSE !! Our psychobilly future! Minors of 16 years old, have FREE ENTRY.